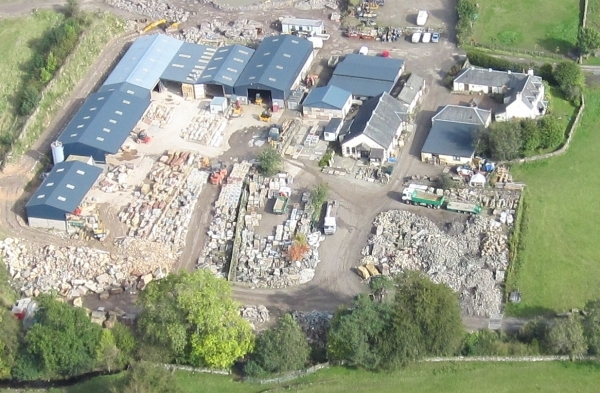 We are one of Scotland’s major suppliers of natural stone for construction and landscaping. Although primarily manufacturers of new stone products at Tradstocks, we are also specialists in sourcing and supplying quality reclaimed/recycled natural stone materials. With our modern masonry yards, skilled workforce and now a building division we offer clients a full and comprehensive range of natural stone products and services. We have a team of highly skilled stonemasons and several apprentices, who work stone to customers requirements. We operate our own purpose built delivery fleet of delivery trucks, and with our two production plants we can offer a quality service covering Scotland and beyond with excellent order to delivery turn around times. At Thornhill we have a large office/showroom, with display areas to view our wide range of products and facilities to see stone processing in action. Westwood is primarily a production site but visitors are always welcome. Expert advice and competitive prices are provided by our experienced staff.